BEAUBIEN, MARGUERITE, superior of the Sisters of Charity of the Hôpital Général of Montreal; b. 29 Jan. 1797 in Nicolet, Lower Canada, daughter of Alexis Beaubien, a farmer, and Marguerite Durocher; d. 11 Aug. 1848 in Montreal. Marguerite Beaubien’s parents owned a farm on Île Moras, in the Trois-Rivières region. Since they were well off, they were able to give their daughter a good upbringing. Marguerite entered the Hôpital Général on 12 July 1816 and took her vows on 17 July 1818. She became the housemother for orphan girls, and in 1828 the pharmacist. In 1833 Sister Beaubien was chosen to replace Mother Marie-Marguerite Lemaire, who had just resigned as superior. Unlike her predecessors, whose term of office was indefinite, she held the superiorship for five years, and then was re-elected for a second five-year period. On taking up her duties Mother Beaubien had a laundry with running water built beside the Hôpital Général to promote the sisters’ health. The old wash-house was transformed into a store for the benefit of the poor. She had three pictures painted in France to decorate the hospital’s chapel. She also had a stone porch built at the entrance to the chapel, and completed the wall around the whole property with a wrought-iron gate that was crowned with an eloquent verse from Psalm 27: “Though my father and mother forsake me, the Lord will take me into His care.” The straits in which the hospital existed became even more dire as a result of a flood in January 1838. The poor were the focus of Mother Beaubien’s constant solicitude. In 1834 she ordered the community’s bursar to distribute wheat to all those in need on the seigneury of Châteauguay, which belonged to the Hôpital Général, and to have the oaks on Île Saint-Bernard cut down to be sold for the poor. The seigneurial manor-house, which was run down and too cramped, was rebuilt in 1836, and the nuns used it to shelter a number of families whose heads were taking part in the rebellion of 1837–38. In 1838 Mother Beaubien presented a report to the House of Assembly asking for additional funds to assist the work for foundlings and to rebuild the lunatic cells, which had become unfit to live in. These funds were not granted and as a result the nuns stopped caring for the insane in 1844. In 1840 Mother Beaubien had allowed the Sisters of Charity to found a house at Saint-Hyacinthe. 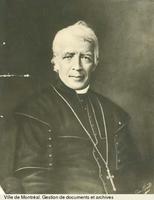 Three years later the community adopted new rules which Sulpician Sauveur-Romain Larré drew up with Bishop Ignace Bourget*. In elections held in 1843 Mother Beaubien was chosen assistant superior. In the autumn of 1844 she was named superior of the new community of the Sisters of Charity at Bytown (Ottawa). Unfortunately a paralytic stroke forced her to resign, and she was replaced by Sister Élisabeth Bruyère*. Sister Beaubien was too ill to assume any other duties. She was to endure four years of suffering before she died. According to one of her biographers, Marguerite Beaubien had “a gentle and peaceful disposition, a judicious and penetrating mind, and sound judgement.” Sulpician Jean-Baptiste Thavenet valued “the conscientiousness and precision with which she does things.” During her term of office as superior the community completed its first century. It had widened the field of its apostleship and so could look to the future with confidence. ANQ-M, CE1-51, 14 août 1848. ANQ-MBF, CE1-13, 29 janv. 1797. Arch. des Sœurs Grises (Montréal), Aliénés, historique; Ancien journal, I; Corr., J.-B. Thavenet; Dossier de la communauté de Saint-Hyacinthe; Dossier de sœur Marguerite Beaubien; Maison mère, corr., chapelle; Mémoire de sœur Saint-Jean-de-la-Croix; Notices biographiques (1741–1848); Reg. des affaires temporelles, I; Reg. des entrées, 1737–1889; Reg. des minutes du Conseil général. P.-G. Roy, Inv. concessions. É.-J. [-A.] Auclair, Histoire de Châteauguay, 1735–1935 (Montréal, 1935). Bellemare, Hist. de Nicolet. [Albina Fauteux et Clémentine Drouin], L’hôpital général des Sœurs de la charité (Sœurs Grises) depuis sa fondation jusqu’à nos jours (3v. parus, Montréal, 1916–). Laurette Duclos, “BEAUBIEN, MARGUERITE,” in Dictionary of Canadian Biography, vol. 7, University of Toronto/Université Laval, 2003–, accessed April 20, 2019, http://www.biographi.ca/en/bio/beaubien_marguerite_7E.html.